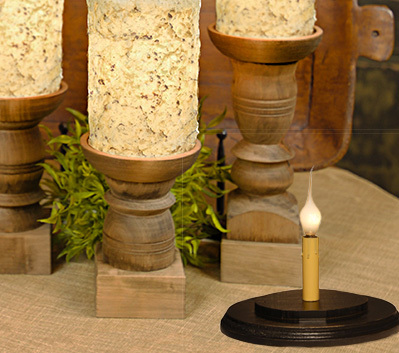 Our USA-made all-wax candle sleeves make seasonal decorating easy! Just pop a sleeve on the electrified base and you’re good to go. No messy drippy wax, no fire hazard—even safe for kids’ rooms! Sleeves are 6” high and come in several finishes—traditional smooth, “crunchy”, sparkly “gumdrop” or primitive “grubby”. You’ll find designs for every day and every season! Shop by Season - Find just what you need! Bases & Bulbs - A beautiful necessity!